Bog plants are classified as marginals, which are plants that grow in the shallow edges and along the banks of many lakes and rivers. They include floating plants like water lilies and lotus, and plants that grow upright with roots in wet marshy soil and canes that are high and dry, like cattails. Identifying your bog plant is the first step in giving it proper care. A bog is a type of wetland that is characterized by swampy conditions such as a high rate of decomposed organic material and alkaline water. Bog plants are plants that typically thrive under these conditions. Bog plants can be classified into six subgroups: floating plants, sagittaria like the grass leafed arrowhead, reed and rush plants, water iris, lotus and water lilies. Floating plants help with algae control by shading the pond and help feed fish. Sagittaria are a genus of flowering grass that provide year-round visual interest. 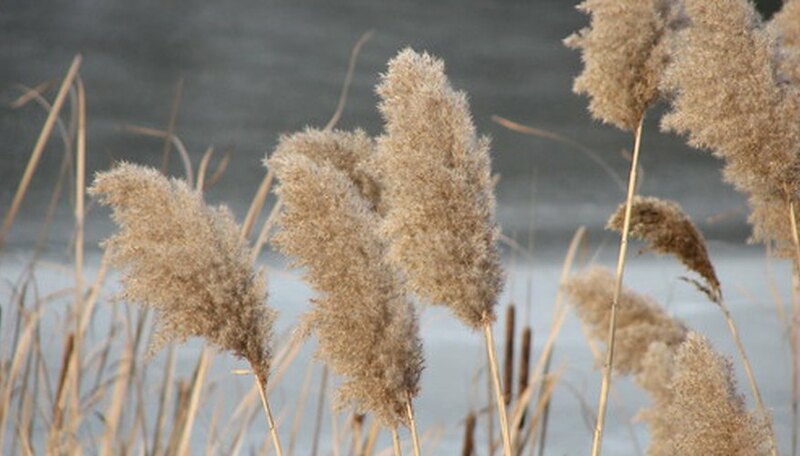 Reed and rush plants are made of upright, straw-like leaves. 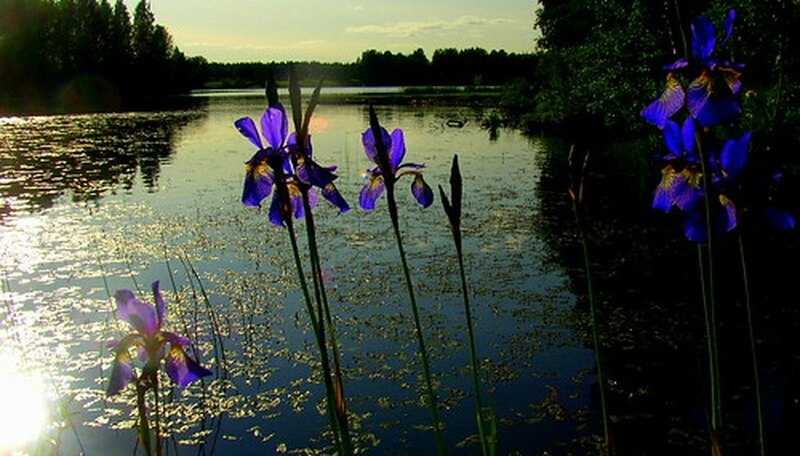 Water irises are a flowering plant with sword-shaped flat leaves that can grow up to 6 feet tall and may be placed on land or in shallow water. 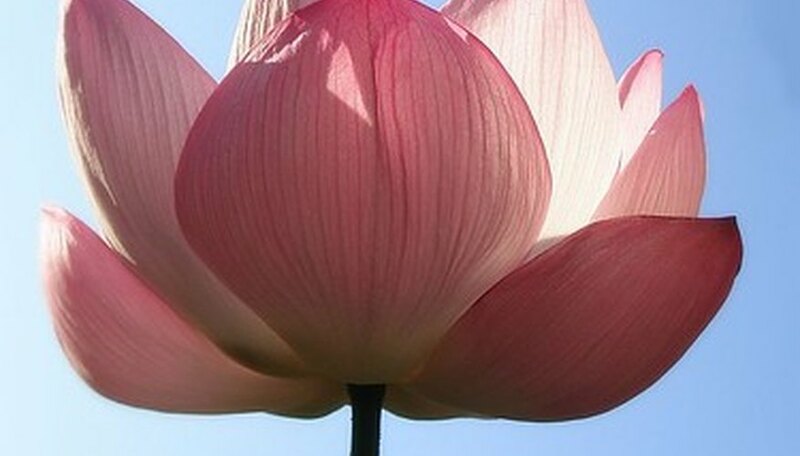 Lotus are a floating, flowering plant with a tuberous root that grows in shallow water. 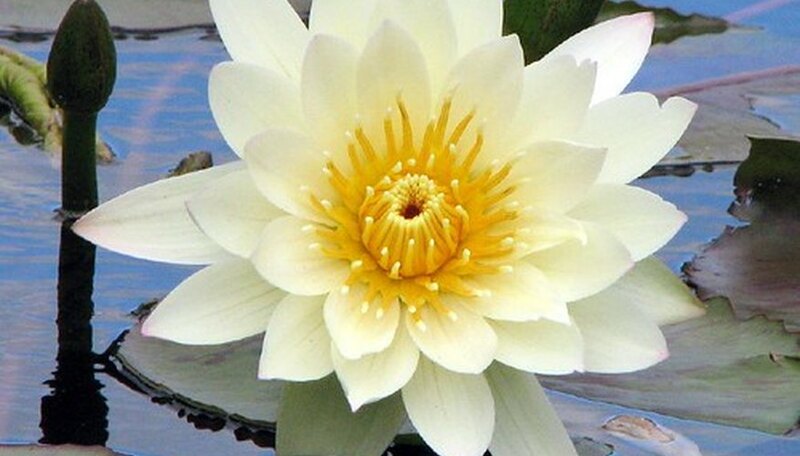 Like lotus, water lilies are a floating, flowering plant. Water lilies are distinguished by floating, round shaped leaves. One easy way to classify types of bog plant is to look at the function that the plant fills in a bog garden. Bog plants such as rushes, sagittaria or water irises provide vertical interest to the water garden. These plants may serve as a backdrop to low-growing plants such as lilies while at the same time hiding the lining of a man-made bog. Floating plants, lilies and lotus provide shelter for fish, shade for the pond and at the same time the leaves of these plants provide a varied texture that is visually pleasing. Bog plants can be further identified by the behavior of their root systems. The roots of plants such as water iris behave differently than plants like water lilies. Most bog plant roots tend to spread out. But some send their roots deep into the soil while others thrive in just a few inches of muck. Plants like iris will spread their roots and multiply by root division. But if their roots become confined, the plant's health will begin to decline. Rushes and sagittaria only grow in size relative to the size of their rooting system. Water lilies grow in deeper water and are never found growing on dry land. Floating plants such as water lettuce don't grow in soil. Instead, their roots extend into the water, where they gather all of the nutrients they need. Some bog plants are identified by their invasive habits. 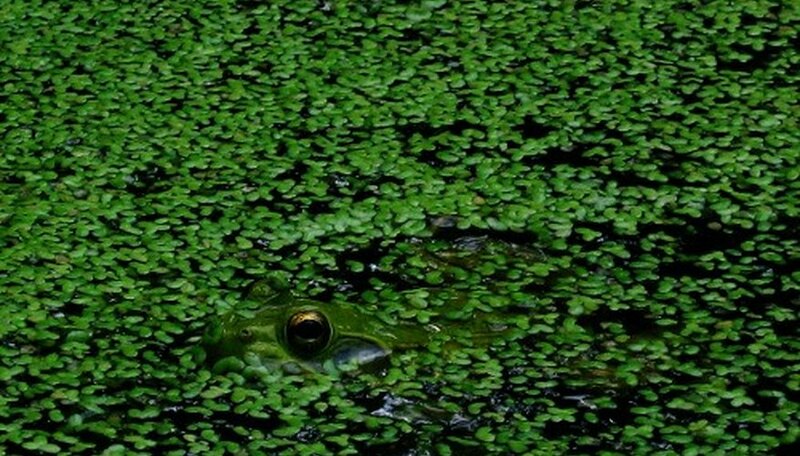 Floating plants such as duckweed, parrot feather and water lettuce are classified as a nuisance plant by the USDA in states such as Ohio due to the way in which they take over bogs and lakes. Ponds infested with Duckweed have been known to kill all other life in bogs. Invasive plants are recognized and classified by to the way in which they can completely overrun a pond within a few days. What Plants Do Painted Turtles Eat? Which Plants Grow in Ponds?